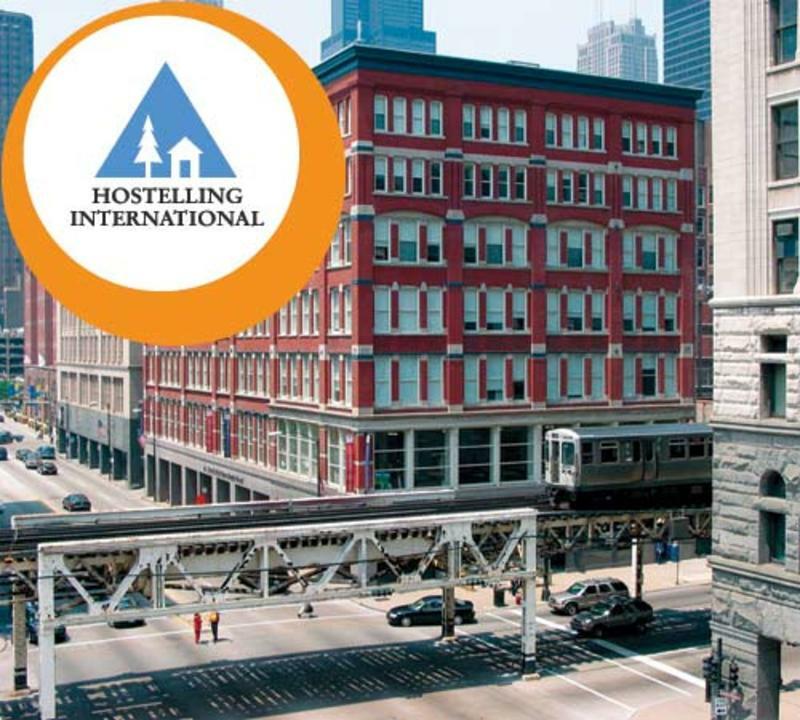 Hostelling International (HI) Chicago is Americas 2nd largest hostel with over 500 beds, offering safe, clean, quality accommodations. Spacious gender-separated dorm rooms have either 8 or 10 beds, many with bathroom ensuite. Travelers also have access to our newly rehabbed shared hall bathrooms. Private rooms have a full-size bed with a single size bunk above, which opens to a shared living area and restroom with shower. All dormitory rooms have individual lockers for personal belongings and free luggage storage is available near the front desk. Hostelling International is a non-profit membership based organization whose mission is to help all, especially the young, gain a greater understanding of the world and its people through hostelling. We have been promoting peace through hostelling since 1909. Non-members will be asked to pay a $3 daily membership fee per night upon check-in. 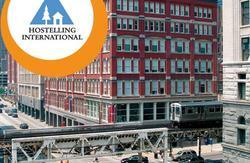 You can visit the official website of Hostelling International USA for more information at www.hiusa.org. City and state taxes of 16.4% are not included in the rates. From O'Hare Airport: Blue line CTA train to LaSalle. Walk 3 blocks east to hostel. From Midway Airport: Orange line CTA train to Library. Walk 1 block east and 1 block south to hostel. From Greyhound: Blue line CTA train to LaSalle. From Amtrak: Bus #126 to Michigan and Congress. By car: downtown on northwest corner of Congress Parkway and Wabash. Del aeropuerto O'Hare tomar tren linea azul de la CTA hacia LaSalle. De aeropuerto Midway tomar tren linea anaranjada de la CTA hacia la biblioteca. De la estacion Union (Amtrak) tomar autobus #126 hacia Michigan y Congress. En Auto Ilegar al centro de la ciudad en la esquina noroeste de la calle Congress Parkway y la calle Wabash. Directions a la pension de l'aeroport d'O'Hare: Ligne bleu train de CTA jusqu'a LaSalle. De la'eroport de Midway: Ligne orange train de CTA jusqu'a Library (State/Van Buren). De la station d'autobus (Greyhound): Ligne bleu train de CTA jusqu'a LaSalle. D'Amtrak: l'autobus #126 au Michigan et Congress Parkway. En voiture: en centre ville au coin de E. Congress Parkway et Wabash Ave.